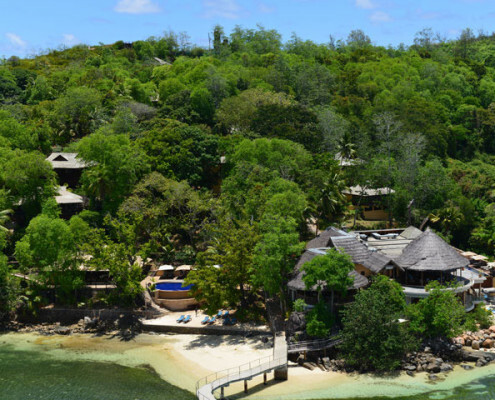 The 5-star Beachcomber Sainte Anne Resort & Spa is set on a 220-hectare private island, surrounded by one of the largest Marine Parks in the Indian Ocean. 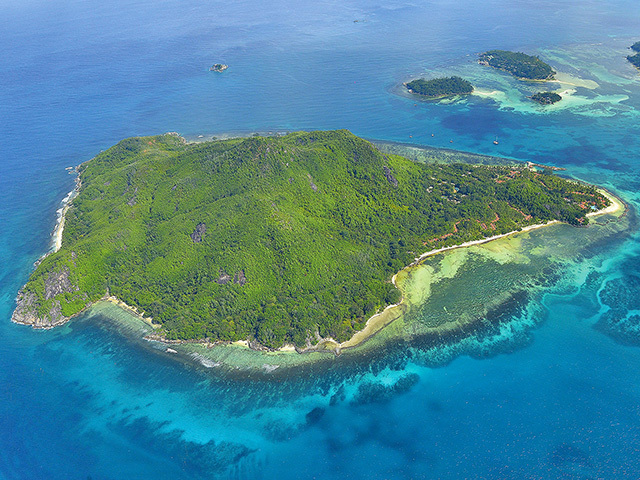 Blending seamlessly with nature, lazy days can be spent discovering the island’s natural delights. Pristine beaches, strewn with granite rocks, clear blue inviting waters contrast with the colourful bougainvilleas, frangipane trees, hibiscuses and palm trees blending in with the natural vegetation. 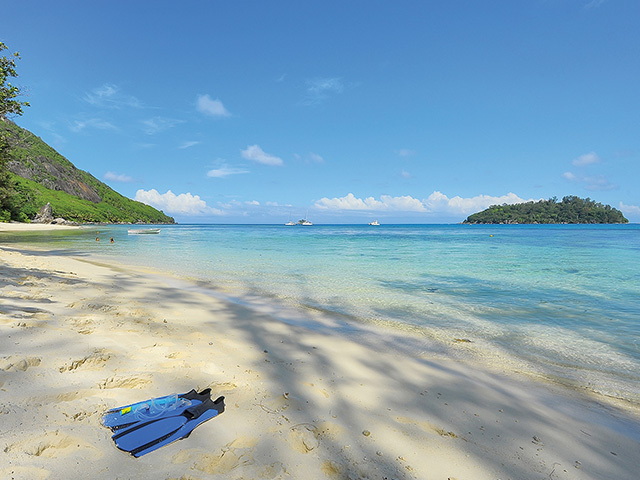 Beachcomber Sainte Anne Resort & Spa is just 10 minutes away by boat from Mahé, making it a convenient stepping-stone for island hopping. 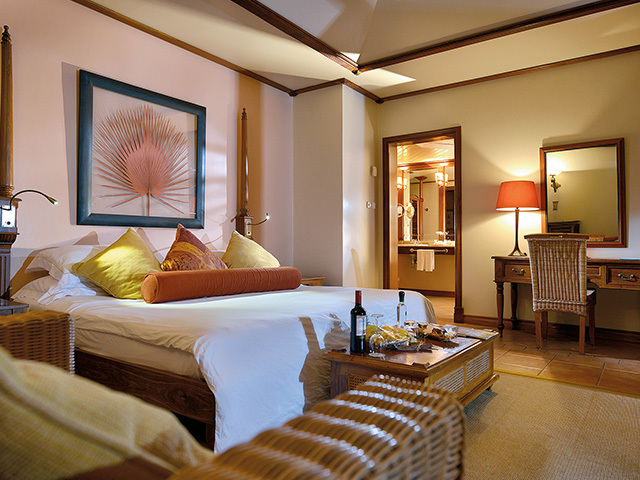 A choice of accommodation is available with a range of Villas in different styles and locations. From the Garden and Tropical Villas through to the Pool, Beach and Senior Beach Villas with their own private pools, there is something to suit your needs. All tastefully laid out and furnished, the Villas offer views of the lush tropical gardens and are a short stroll from the beach. Facilities vary with Villa type and include a terrace, private garden and/or gazebo, individually controlled air conditioning, private bathroom with bathtub, shower and separate toilets, hairdryer, individual safe, King-size bed, IDD telephone, satellite TV, DVD player and WIFI access. 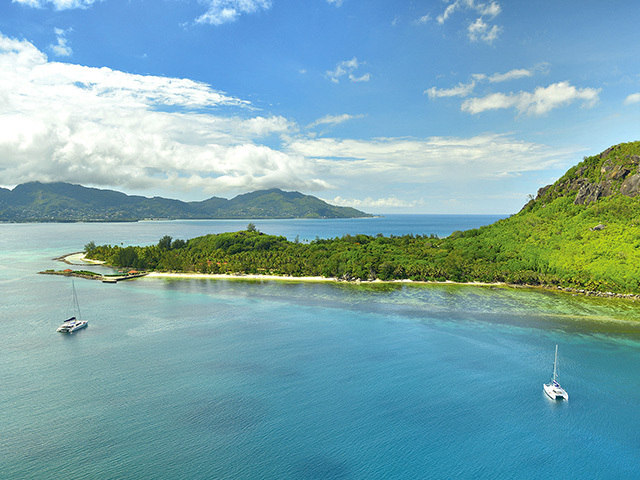 The most spectacular Villa of the resort is the Royal Villa, perched on a granite outcrop offering breath-taking views of Sainte Anne and the bay of Mahé. 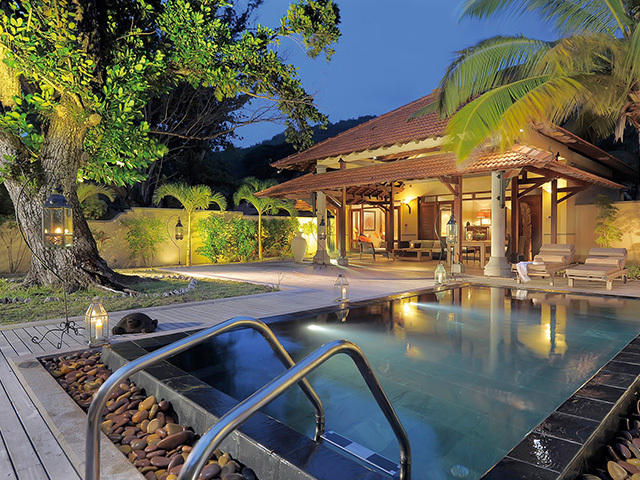 Set away from the hotel’s common areas, surrounded by luxuriant tropical greenery, this very private villa offers its guests the ultimate in holiday luxury. 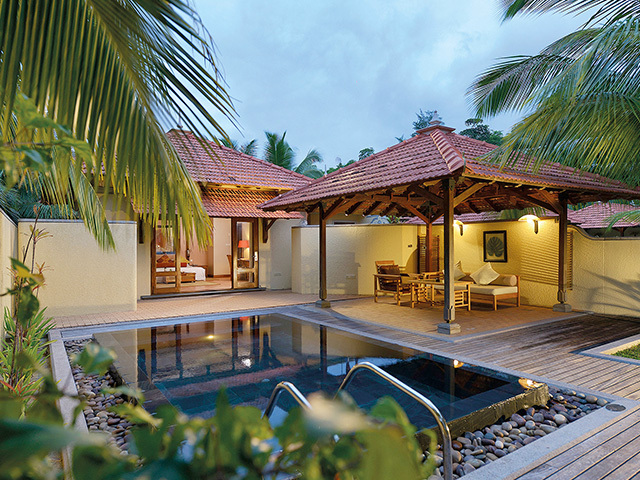 Sainte Anne Resort & Spa has earned a reputation for providing the finest cuisine in the Seychelles with its various restaurants and bars. Open daily for all meals, L’Abondance is the hotel’s main restaurant. Set opposite the shimmering sea and pool, edged by cool reflecting ponds, guests will enjoy delicious buffets with all they can dream of for breakfast and a different theme each evening. 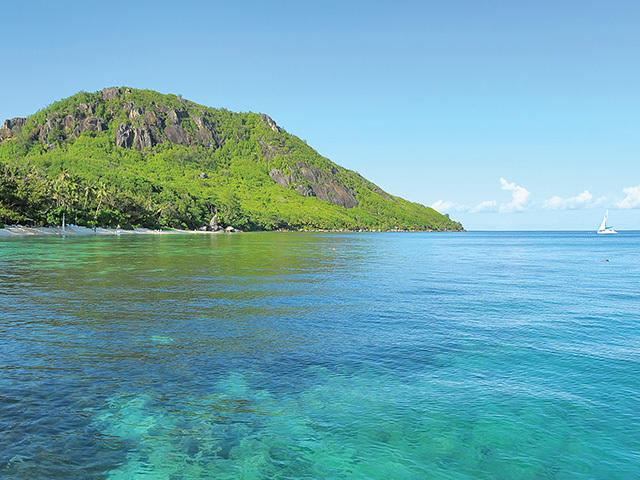 Known as the finest restaurant in the Seychelles, Le Mont Fleuri welcomes guests in an atmosphere of discreet luxury for a one-of-a-kind culinary experience and offers commanding views of Sainte Anne Island and across the sea to Mahé. Dining is at tree-top level where guests may choose from a selection of superb dishes which are mostly drawn from European cuisine. Impeccable service complements the evening with each dish being announced with a ceremonial flourish by professional waiters in formal attire. Creating an ambiance that lives up to the restaurant’s namesake, Le Robinson is situated in a spectacular setting with an uninterrupted view over the ocean. Set on the beach beneath Le Mont Fleuri restaurant, it is lined on one side with spectacular granite rocks and on the other with tall takamaka trees. The food style matches the setting as guests are invited to cook their food on a hot stone slab as a true modern-day Robinson Crusoe would do! Open 3 nights a week, May to October. Le Takamaka is located on the beach of Anse Tortues, or Turtle Bay, offering a charming setting where guests can sit with their toes in the sand. The menu is in keeping with the location’s simple charms and features fresh salads, sandwiches and Paninis. Open for lunch à la carte, November to end April. A choice of bars will satisfy your tropical island dreams. Enjoy tropical cocktails and flavoured rum at our main bar, Le Sans-Souci Bar overlooking the pool and turquoise sea. The Beach Bar offers a selection of drinks including fruit juices and iced tea. Located at the sports and leisure centre, the Sports bar is the place to unwind and relax after a strenuous workout. 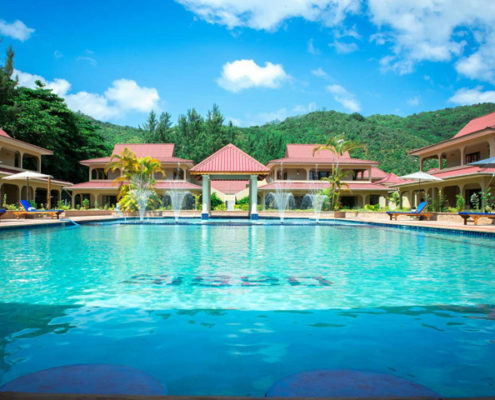 Swimming pool, scuba diving, fishing, glass-bottom boat, kayak, Laser, pedal boat, snorkelling, stand up paddle, mini football, beach volleyball, bicycle riding, table tennis, tennis, Bocciball and jogging. The Sports Centre has a range of gym equipment and Health Bar and sauna. Reserved for kids aged 3 to 12, Beachcomber Sainte Anne’s kids club is located close to the reception, at the heart of the hotel. The club has its own private garden with a playground but most activities take place in the surrounding outdoors. In tune with the environment, activities generally revolve around nature, whether on the island itself or in the waters which teem with sea life. 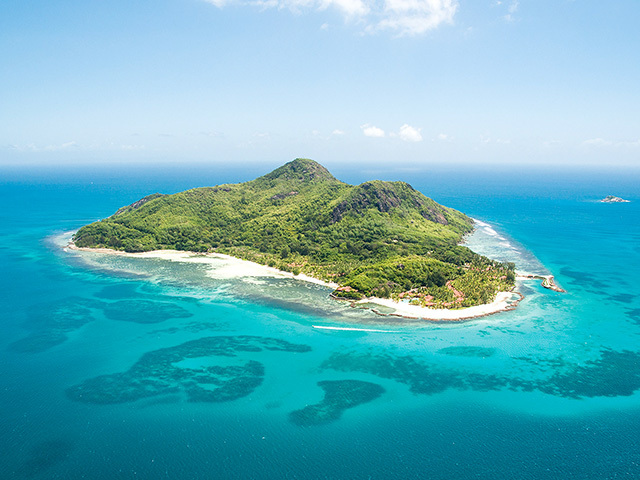 Activities include kayaking, glass-bottom boat trips, snorkelling and children also get to visit Moyenne Island, a true sanctuary abounding with tortoise, birds and lizards. The attentive and caring professional team at the club will keep children entertained and safe during their stay. 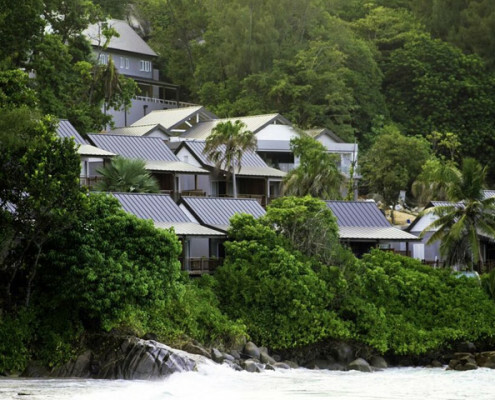 Beachcomber Sainte Anne’s spa, affiliated to the famous Clarins brand, enjoys a secluded location amidst lush tropical vegetation. It is truly an oasis of tropical tranquillity that makes it easy to forget about the outside world, encouraging guests to emerge feeling both relaxed and rejuvenated. 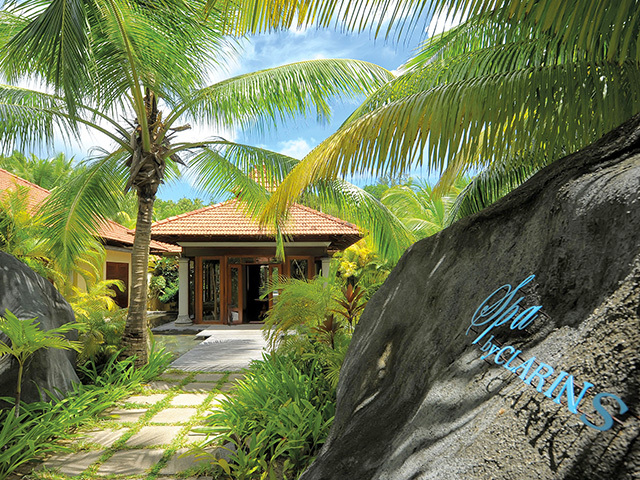 Natural granite rocks create a dramatic entrance to the spa, luring guests into an instant island castaway atmosphere. The centre of the facility features a pool and wooden deck furnished with comfortable loungers where guests head to relax after one of the many treatments on offer at the spa. Beauty and a variety of other treatments are available and facilities include massage cabins, Ayurvedic cabin, Balneotherapy cabin, hammams, saunas, hairdresser, beauty salon and a Yoga pavilion. 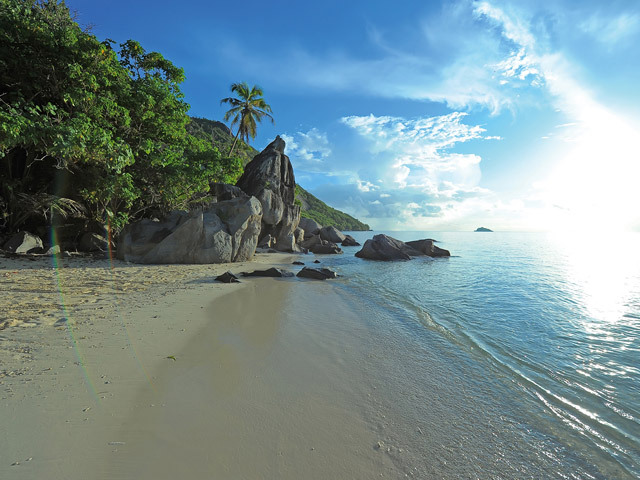 Beachcomber Sainte Anne Resort & Spa is the perfect place to savour your time together as newlyweds. What more could honeymooners dream of than to revel in the beauty and luxury of their very own private villa, on a private island! 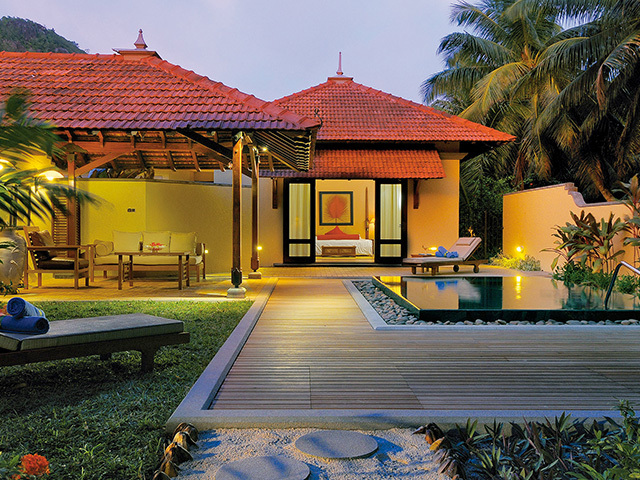 Tucked away in tropical greenery yet only a short stroll away from the beach, these villas offer absolute comfort and privacy. Our professional team will take care of your needs, leaving you to enjoy this special time. Resort facilities also include a Library, Babysitting service (24-hour notice), Infirmary (doctor on request) and Boutique.